Jonathan Rea is one of the most entertaining motorcycle racers to watch go around a circuit. Whether he is going for pole during qualifying, or fighting for a podium finish on Sunday, he is always on the ragged edge, with his machine dancing as it fights against him. Watching him slide his WSBK machine out of a tight hairpin is always entertaining, and every once in a while we even get to see him putting a MotoGP machine through its paces, like when he filled in for an injured Casey Stoner on the Repsol Honda. Why this history lesson? Arai has just released a new graphic for the Corsair V helmet that commemorates great motorcycle racers, the Arai Corsair V Rea 3. 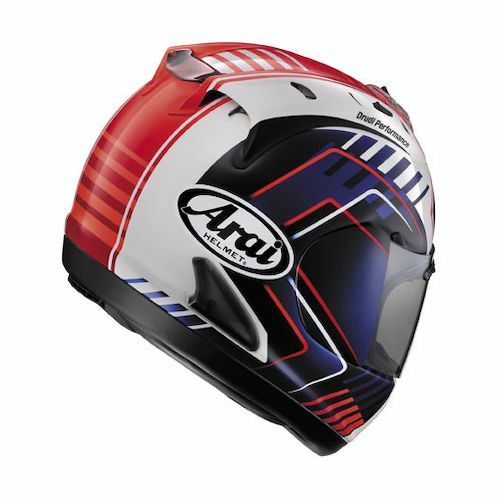 As the name suggests, this is the third Rea inspired graphic Arai has released, and it is the same graphic (minus the sponsor logos and race number) that he has used during the 2013 WSBK Season. The Corsair V helmet is unchanged in structure and function. 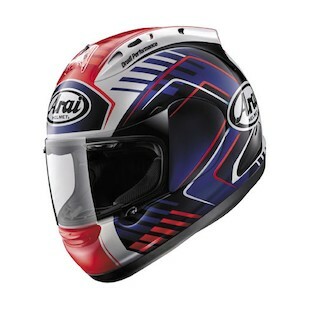 The Rea 3 has the same Snell-approved shell as on all other Corsair V helmets, and it uses the same Arai SAI face shield. The liner, cheek pads, and neck roll are removable and washable, and the cheek pads have emergency release tabs that are perfectly suited for track use. Like all Corsair V helmets, the Rea 3 incorporates a 5-way adjustable rear spoiler to increase stability at speed. Whether you are looking for a Corsair with a fast graphic, or are looking to expand your collection of commemorative lids, the Rea 3 is a great addition. You get all the features and protection of a premium track helmet, and you will stand out from the crowd of Rossi replica lids.